As often as you like during your turn (before your attack), you may attach a [W] Energy card from your hand to 1 of your Pokémon. 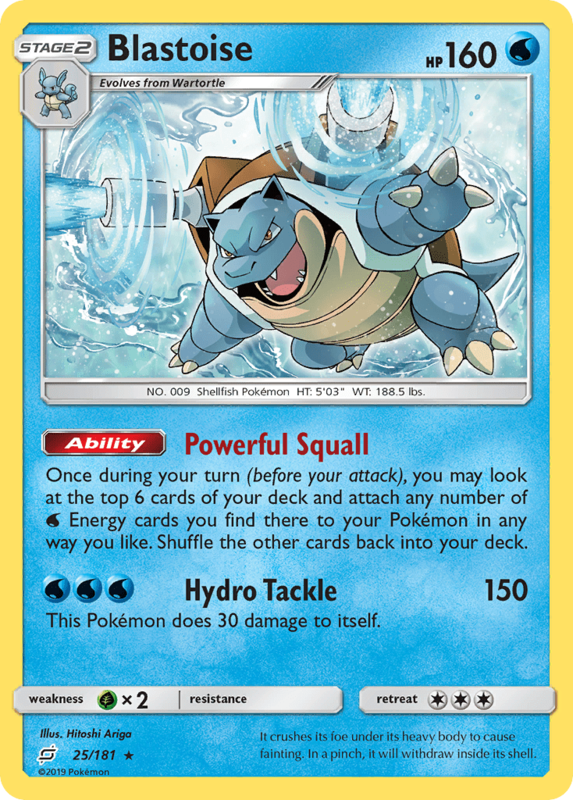 Once during your turn (before your attack), you may look at the top 3 cards of your deck, choose as many [W] Energy cards as you like, and attach them to your Pokémon in any way you like. Discard the other cards. 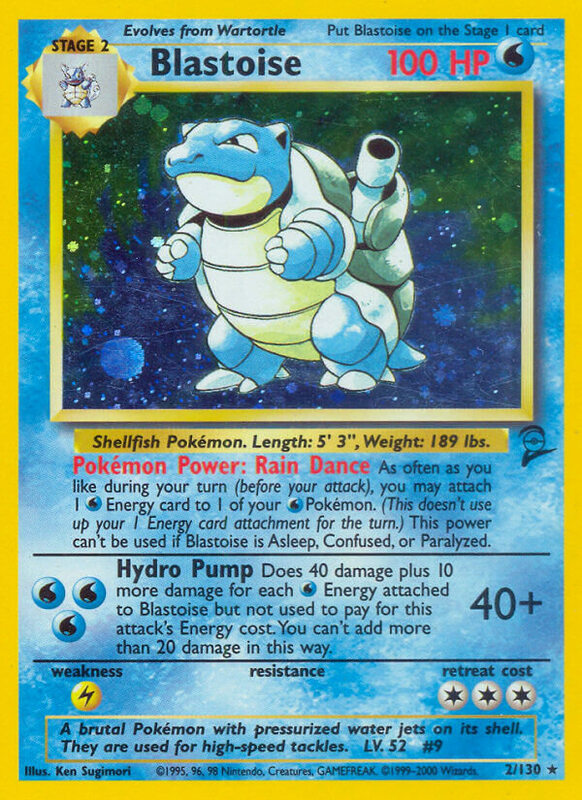 This power can’t be used if Blastoise is affected by a Special Condition. Does 20 damage plus 10 more damage for each Energy attached to all Pokémon (both yours and your opponent’s). 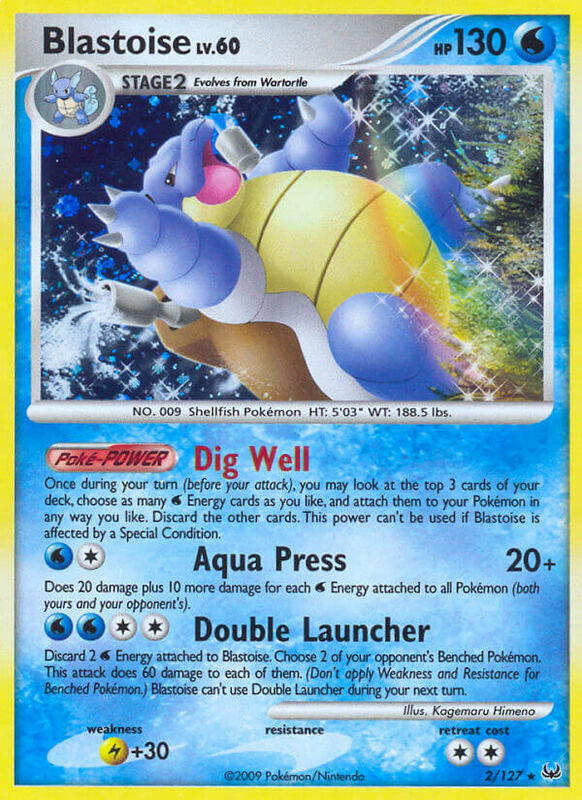 Discard 2 Energy attached to Blastoise. Choose 2 of your opponent’s Benched Pokémon. This attack does 60 damage to each of them. 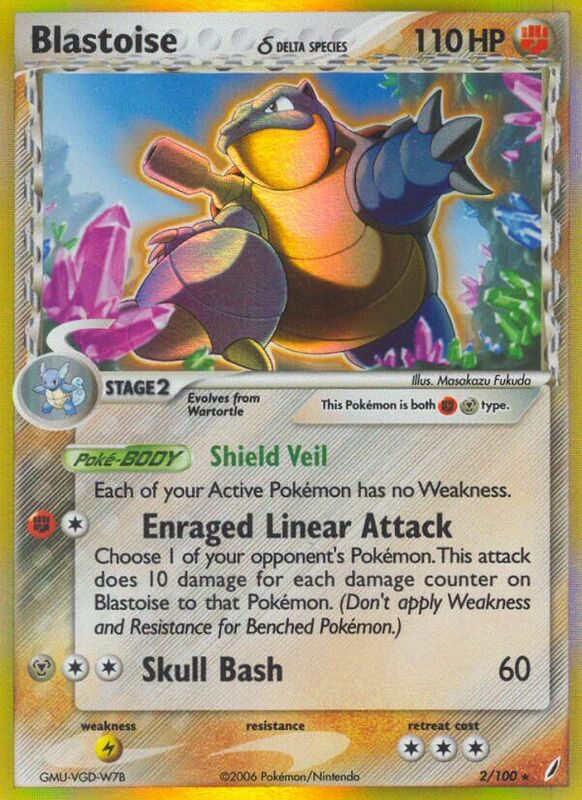 (Don’t apply Weakness and Resistance for Benched Pokémon.) 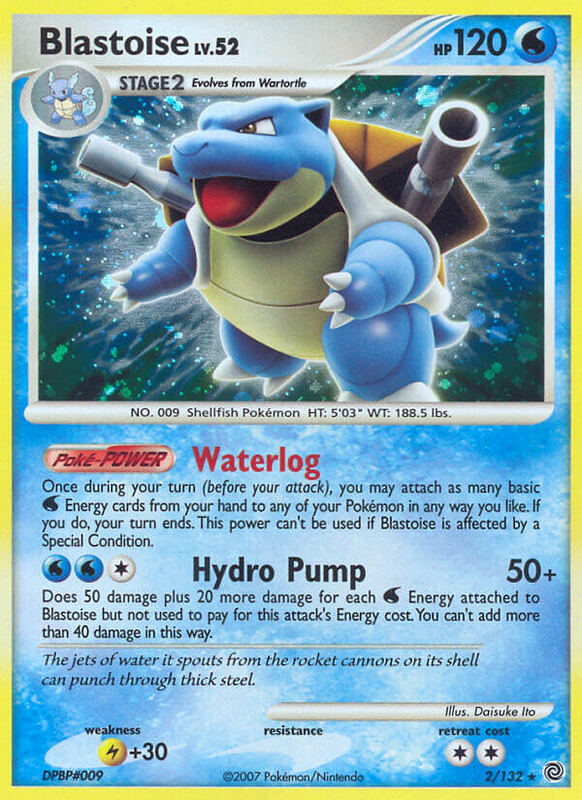 Blastoise can’t use Double Launcher during your next turn. Once during your turn (before your attack), you may attach as many basic [W] Energy cards from your hand to any of your Pokémon in any way you like. If you do, your turn ends. 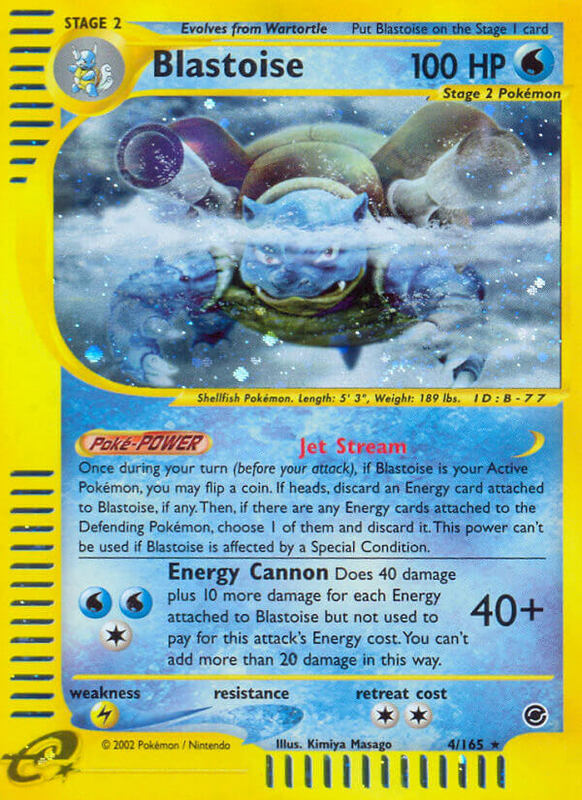 This power can’t be used if Blastoise is affected by a Special Condition. Does 50 damage plus 20 more damage for each [W] Energy attached to Blastoise but not used to pay for this attack’s Energy cost. You can’t add more than 40 damage in this way. 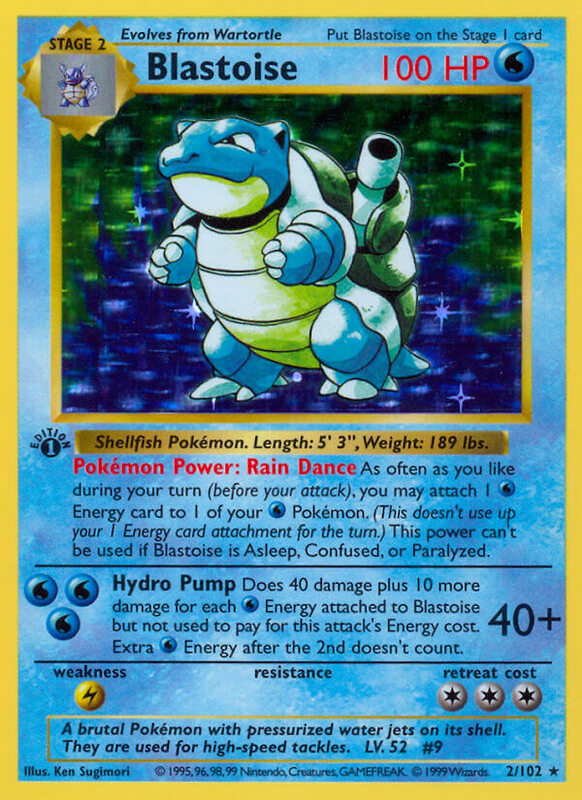 As long as Blastoise’s remaining HP is 40 or less, Blastoise does 40 more damage to the Defending Pokémon (before applying Weakness and Resistance). Each of your Active Pokémon has no Weakness. 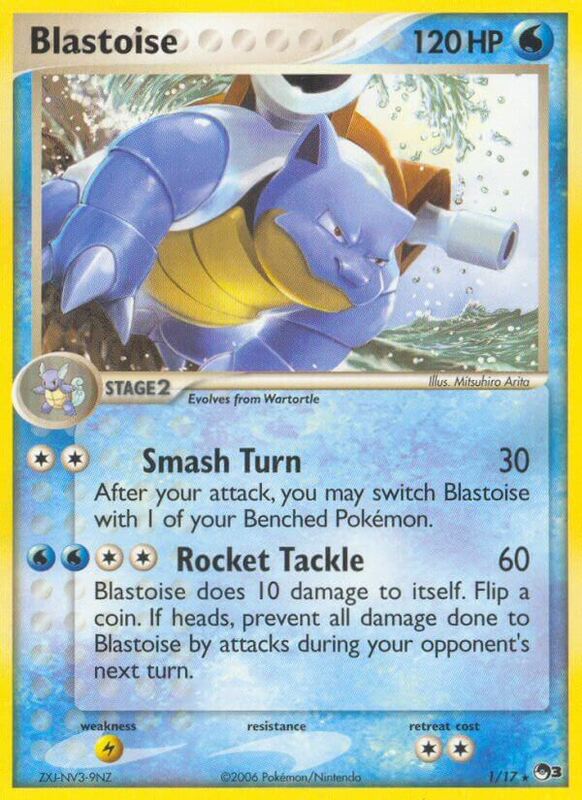 After your attack, you may switch Blastoise with 1 of your Benched Pokémon. 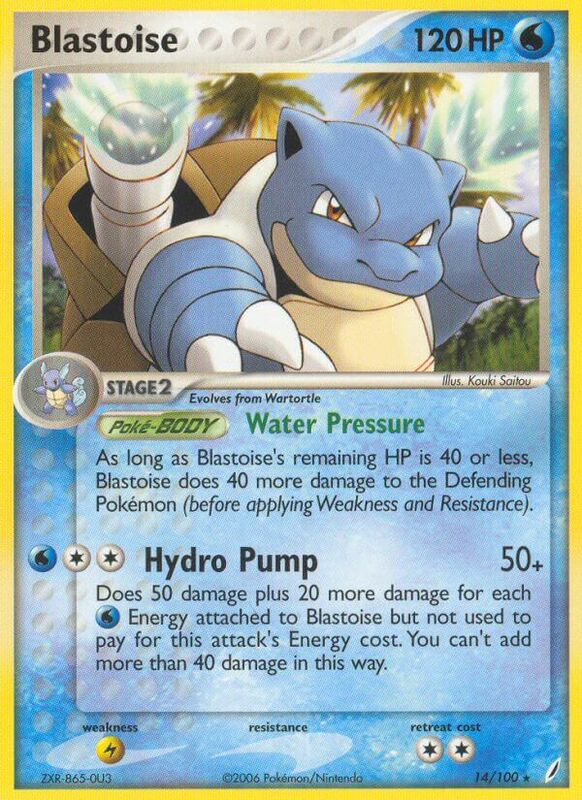 Blastoise does 10 damage to itself. Flip a coin. 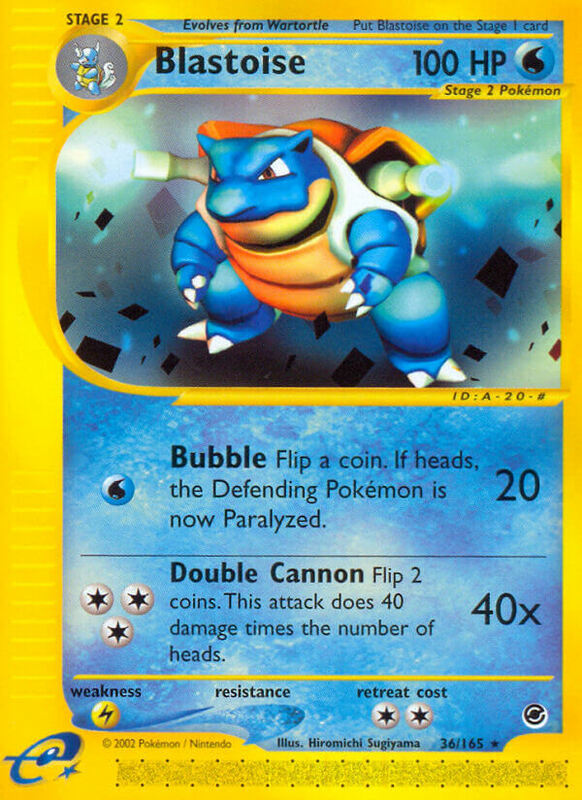 If heads, prevent all damage done to Blastoise by attacks during your opponent’s next turn. 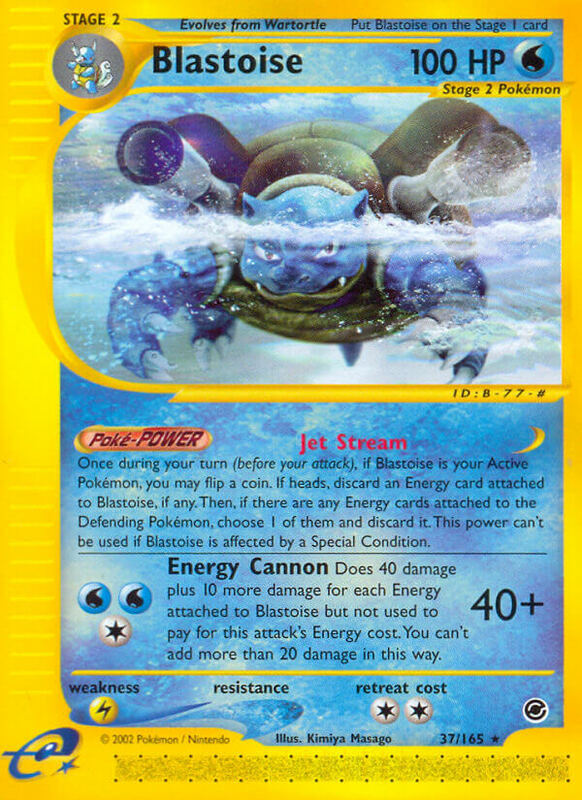 Does 40 damage plus 10 more damage for each [W] Energy attached to Blastoise but not used to pay for this attack’s Energy cost. You can’t add more than 20 damage in this way.